We recently announced the launch of Standard Services for our Translation Services. Translation services from Spanish or Portuguese into English is offered at a competitively fixed rate of $0.11 – $0.12 cents per word. This service includes translation and language editing by a native speaker, proof-reading by a subject expert and project management of the request. Select the best expert for your translation request and our system will set the terms and price on offer. Submit your service request and experts will express their availability confirming the pre-defined price as a quote. With our new offering, our popular peer-to-peer model remains but we have taken the negotiation part away, ensuring a simpler and smoother transaction for all. We are pleased to announce a partnership with Tridiom, as a managed service partner for the Translation Services category on Peerwith. Tridiom has a wide experience in doing translation and localisation projects and they will manage all requests on the Peerwith platform, posted in the Translation Services category including the requests for Standard Translation Services. You will still be allowed to pick the best expert for the job, working with one of our highly qualified experts in editing and proof-reading, but Tridiom, on behalf of Peerwith, will manage the requests which involve several different experts to work on the assignment. 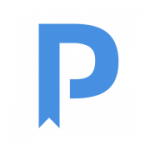 Peerwith is a platform for expert-led researcher services. We support researchers by offering them the opportunity to select, connect and collaborate with scientific experts and improve the quality of their academic work. Experts on Peerwith come from all academic disciplines and offer fair fees for services tailored to individual requirements. With our secure marketplace environment, our mission is to aid the advancement of science by helping researchers globally improve the quality of their academic work. Visit us at www.peerwith.com. Tridiom offers integral solutions for communication and internationalisation: revision/editing of creative texts, management of online content, multilingual SEO or event planning, in addition to our excellent layout and editing of final document services. Visit us at http://www.traduccionestridiom.com/en/.